Part of Robert Hoddle's survey of South Melbourne completed in 1837 showing proposed roads and allotments. The location of La Trobe's house is shown but allotments are shown in the areas which later became Fitzroy Gardens and other public and church lands. 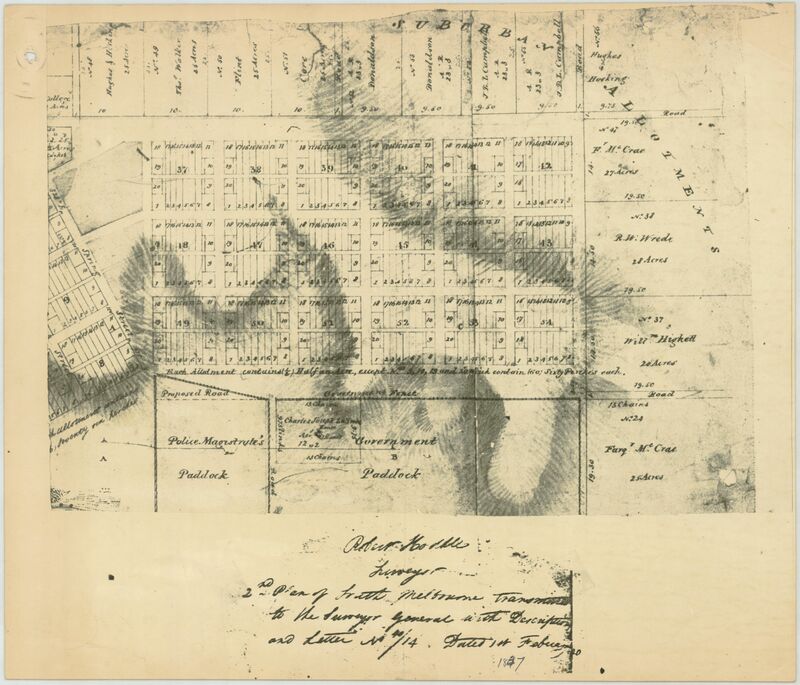 2nd Plan of East Melbourne Transmitted to the Surveyor General with Description and Letter No./14 dated 1st February 1837.